Beyond Fitness Blog Posts Free Nutrition and Mindfulness Workshop! 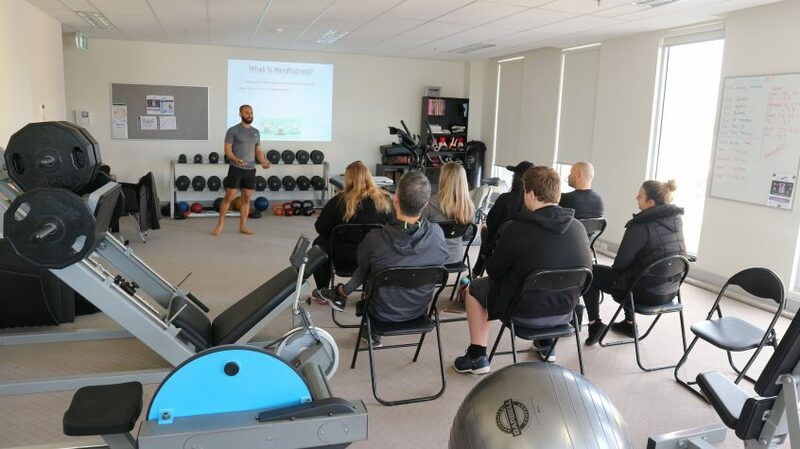 On Saturday the 9th on June, we held the first of our series of Free Educational Workshops in our Beyond Fitness studio in Moonee Ponds. The topics for the day revolved around Nutrition and Mindfulness tips and techniques. 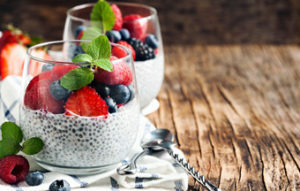 Macro-nutrients are classes of nutrients found in foods, the main ones are Carbohydrates, Proteins, and Fats and are all essential for good health. Micro-nutrients include vitamins and minerals and essential to unlock the energy that your Macro-nutrients provide. There is a 4th macro-nutrient class and it is Alcohol. Each class has a different calorie count per gram. The difference between food and food products. We should base our daily nutrition around fresh food and limit the intake of processed foods or “food products”. Margarine and highly refines cooking oils are certainly some of these food products you should stay away from. Modernisation of food products has introduced additives and preservatives that cannot be properly metabolised by our bodies. Research into some of these additives uncovers some scary facts. Try be more aware of what the food labels and ingredients are in the food that we are purchasing before you decide to consume it. Once you are more aware you will begin to make smarter healthier choices. The link below helps us understand the additives in our foods. We discussed the importance of understanding what effects certain foods and food groups have on your body. In brief, good proteins consist of amino acids. These proteins act as the building blocks of your cells, which combine to form the bodies structure including tissues and organs. Good Carbohydrates are primarily an energy source but if not utilised can end up being stores in fat cells. Fats are essential to healthy bodily function, they are also required to maintain good body temperature and protect our vital organs. Understanding how food labels are there to help us make healthy choices. Some food products have a %RDI (percentage of recommended dietary intake) column, ensure that your choice is not going to suit your daily plan. For instance, one cup of instant noodles is over 76% of your recommended daily intake of Sodium (salt), that is crazy high and not going to leave you much room for salt intake throughout the rest of the day! Then there is Milo…. Per every 100g of Milo you are consuming over 46g of sugar, so basically half of that Milo tin is sugar! YIKES! That is not something you or your children should be starting your day with! Simple rule with food products, if you don’t know what one of the ingredients are, don’t have it! Mohit explained that mindfulness should be part of your everyday lives. What does it mean? Well to live in the moment and use your senses to be really aware of everything that is happening both externally and internally. Your effectiveness throughout everyday activities can be improved with some simple meditation or mindfulness techniques. Through Eating one raisin, a little exercise we took part in, we experienced what it means to truly live in the moment and use all of our senses to experience life to its fullest. A raisin never tastes so good! Reducing the symptoms of anxiety, depression and stress. It was an hour jammed packed with helpful information on how you can improve your quality of life through good nutritional habits and practising mindfulness throughout the day. Stay tuned to find out what topics we will be covering in our next of or Free Educational Workshops on Saturday the 23rd of June at 11am! Our training sessions are tough, fun, challenging and also a learning experience… looking for ways to challenge the body so that I get the best out of my workouts. Once I reach a goal, we strive for the next one. My fitness has consistently improved…I look forward to my sessions at Beyond Fitness every week as I can feel the benefits in my body every day. I cannot highly recommend Boris and his team at Beyond Fitness enough. They have helped me achieve my fitness goals with their expertise and support.